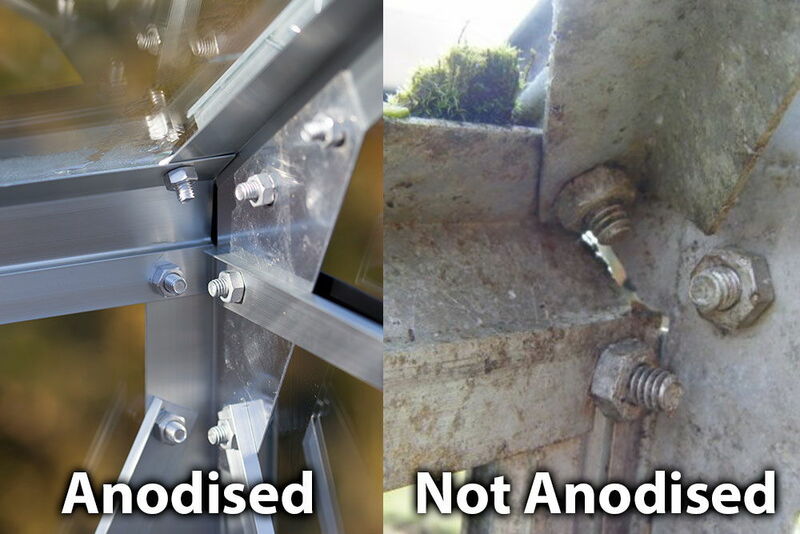 Green Powder Coated Aluminum Frame - No rust or discolourisation! 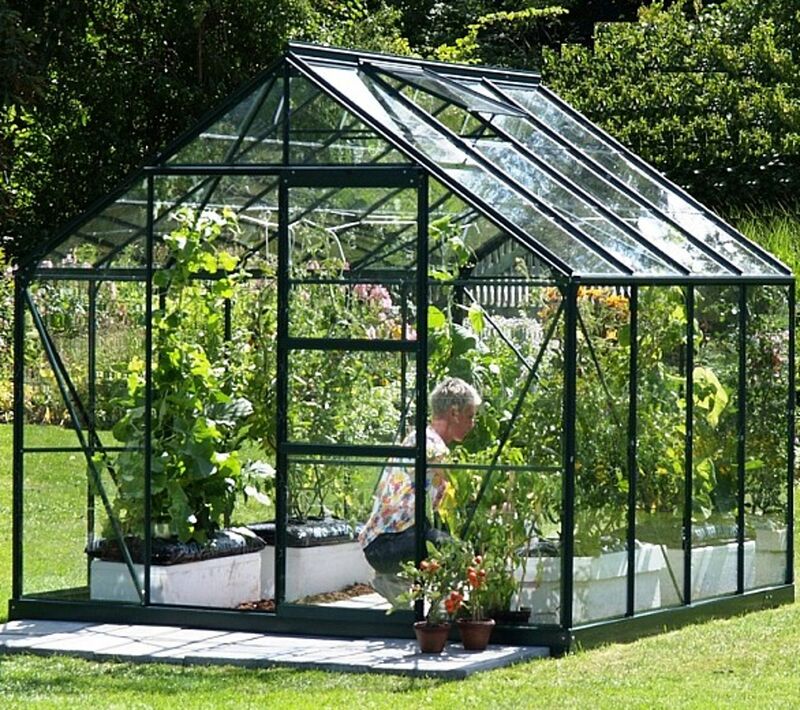 The 8x8 Green Vitavia Neptune 6700 Greenhouse is a great entry level large greenhouse at a great price ! This Vitavia Neptune 8x8 has 2 opening roof vents for ventilation, a smooth sliding single door and integral gutters. Curtain shading will protect your plants from sun scorch and provide shade to moderate temperature.